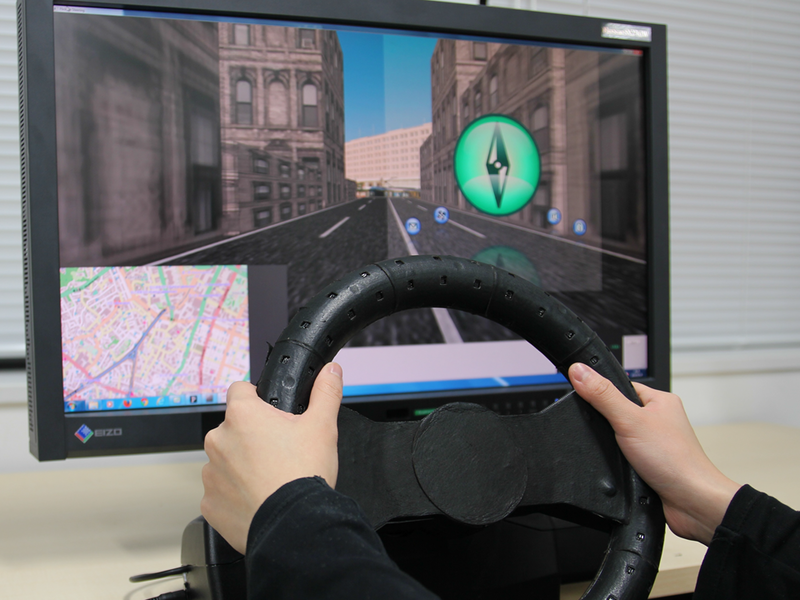 This paper proposes a multi-touch steering wheel for in-car tertiary applications. Existing interfaces for in-car applications such as buttons and touch displays have several operating problems. For example, drivers have to consciously move their hands to the interfaces as the interfaces are fixed on specific positions. Therefore, we developed a steering wheel where touch positions can correspond to different operating positions. This system can recognize hand gestures at any position on the steering wheel by utilizing 120 infrared (IR) sensors embedded in it. The sensors are lined up in an array surrounding the whole wheel. An Support Vector Machine (SVM) algorithm is used to learn and recognize the different gestures through the data obtained from the sensors. The gestures recognized are flick, click, tap, stroke and twist. Additionally, we implemented a navigation application and an audio application that utilizes the torus shape of the steering wheel. We conducted an experiment to observe the possibility of our proposed system to recognize flick gestures at three positions. Results show that an average of 92% of flick could be recognized.